One of Gordon Brown's last acts as Chancellor of the Exchequer and boss of the Royal Mint, was to decree that Britannia had to go. 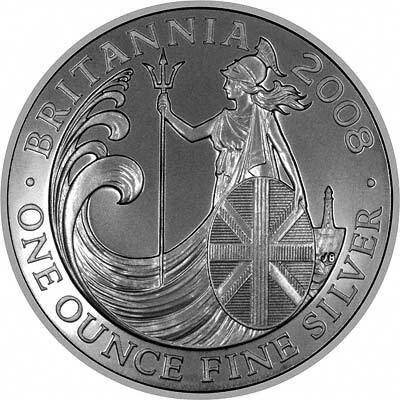 In August 2005, the Royal Mint promoted a design competition for new UK coinage designs. In December 2007, it was announced that all the normal circulation coin designs were to be replaced by new ones. This appear to apply to all seven common denominations, from the pound coin down to the penny, including the fifty pence. 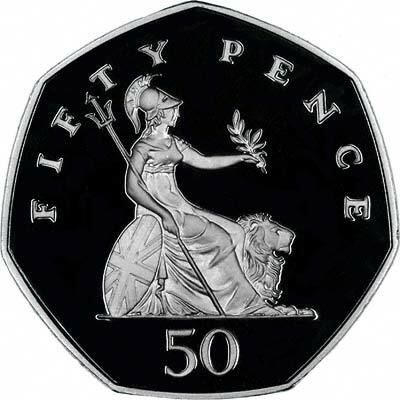 Of all seven existing reverse design themes or motifs, we believe that Britannia on the fifty pence, is the most iconic, and the most instantly identifiable with Britain. It is possibly a mistake to replace her, although up to this stage nobody knows whether she will be reprieved. We suspect not. Our guess is also that the Mint will keep the new coin designs as a closely guarded secret until the last possible moment. Writing this in the week before the 2008 World Money Fair in Berlin, it is possible that the Mint intends to unveil new collector coin sets based on the new designs, but if so, these will be under the usual embargo until the official announcement date. It is also possible that outline details of new coin sets will be available, but the designs still kept secret, who knows? Blair and Brown - Cool or Uncool? It seems these days that Gordon Brown can't do right for wrong, and that the media will pick out the negative implications of the coinage change, blaming them on Brown. Tony Blair and his spinning associates promoted the concept of "Cool Britannia", is it possible that the removal of this most recognisable of British symbols will be seen as a move to distance Brown from Blair, and make Britannia Uncool? Perhaps it is simply a continuation of a policy which the 1997 Labour Government started when it scrapped the Royal Yacht Britannia? This morning, our home phone rang at just after 6.30. It was the BBC asking could they do telephone interview at just after 10 a.m. for one of their regional radio stations, about the removal of Britannia from our coins. I said yes, why not? One of the rhetorical questions asked was what could replace Britannia on our coins. I had to admit that I did not know. Now I have already given a lot of thought to the subject, but I will almost certainly be as surprised as everybody else when the new designs are unveiled. Two of my less serious suggestions are Gordon Brown, and Fish and Chips. I did say that it was extremely likely that the gold, silver and platinum Britannia bullion and collectors coins would almost certainly continue to be issued, as these appear to be a money-spinner for the Mint. Sets of the last of the old designs, in four different metals, including the Britannia fifty pence.